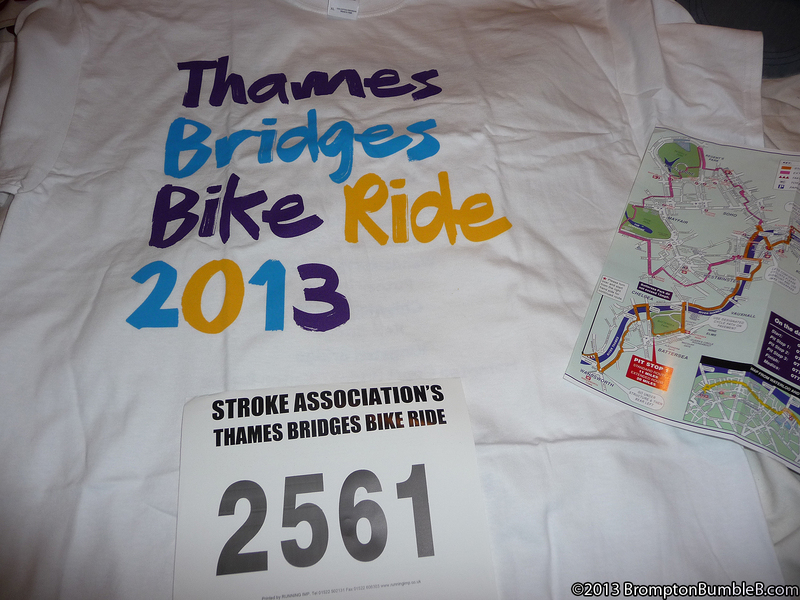 Today I got the rider pack from Stroke Association about the Thames Bridges Bike Ride on the 12th May 2013. Tower Bridge was built in 1894 with machinery to raise the central road span in 90 seconds. It was once a thriving port where cargo ships came from all over the world to unload their goods. 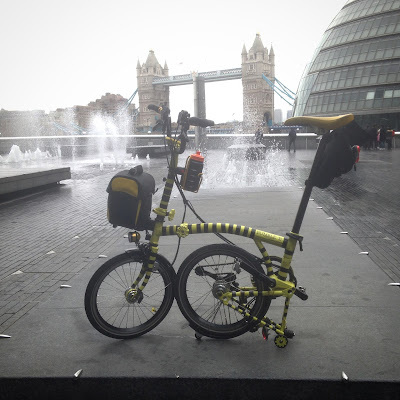 On the north side of the bridge is the Tower of London, while further to the east is Docklands. London Bridge was built in 1973 (earlier bridges since the First Century). The Romans built the first London Bridge, slightly downstream to the present one, and it was the only bridge across the Thames in London until Westminster Bridge was built. 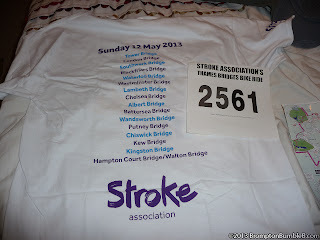 Blackfriars Bridge was built in 1869 (earlier bridge 1769) and was named after a Dominican Priory at that site. 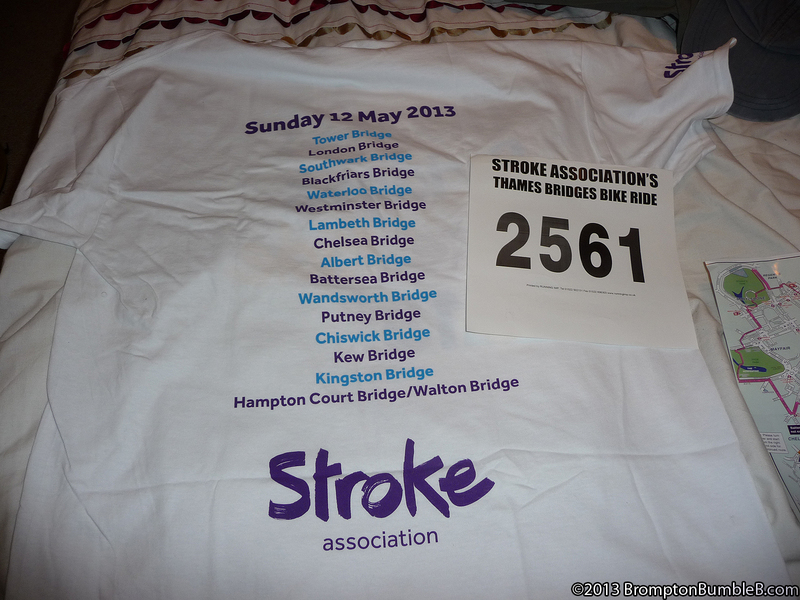 Fleet Street and Inns of Court are near the bridge. Westminster Bridge was designed by Thomas Page and opened in 1862. With an overall length of 252 metres, it is a seven arch wrought iron bridge which has Gothic detailing by Charles Barry (the architect of the Palace of Westminster). Hampton Court Bridge (not extended route) was designed by the architect Lutyens to blend in with Hampton Court Palace. 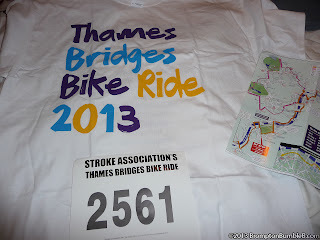 Comes with a T Shirt, Rider number, Map of the route, Donation Envelope, Information sheet. 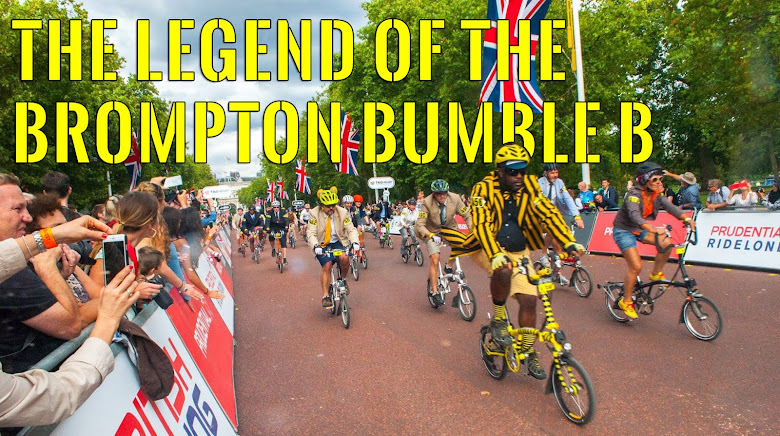 Me and my cycling partner @LondonBrompton will be on this ride, should be a pretty good one and I can't wait.